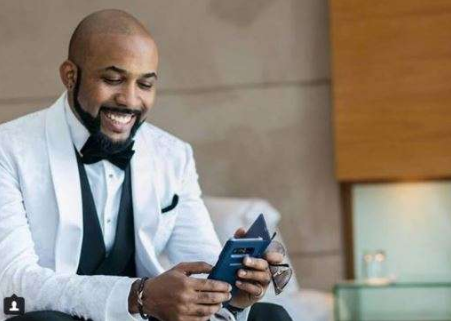  Home › Celebrities › Entertainment News › R&B Singer Banky W: "I’m Very Grateful, Even In Defeat"
R&B Singer Banky W: "I’m Very Grateful, Even In Defeat"
election that went in favour of the opposition party APC. What influenced your decision to go into politics? The reason I ventured into politics was because of my desire to impact and improve my community; the desire to do more than just talk, tweet and complain about government and the issues facing young people, and the desire to be a part of the progress we all seek. Most of us say we want a better country, but that’s where we stop. Some people think that you should have started small, probably by contesting a post in the Lagos State House of Assembly. Do you agree with them? I think each person must decide on what their vision is, and how they want to approach its execution. For me, it wasn’t just about winning any available election. I actually went for the specific role in government that I felt I wanted to work in at this time if given the opportunity. The House of Representatives would give me an opportunity to serve the whole country as a federal lawmaker, and also to serve my local community because of the constituency development that each member of the National Assembly is responsible for. That dual role of impact at the federal and local levels is what informed my decision to attempt this race. You weren’t elected at the end of the day. How do you feel about losing out? I feel very grateful, even in defeat, because of the things we were able to accomplish. Just by running the kind of campaign we ran, and winning some of the major polling units in our area, especially in places like Lekki, Agungi, Idado, Northern Foreshore, Badore, etc. Even in the places where we didn’t win, we were consistently placed in the top three right alongside the two major powers that be. And we did all this with a new, unknown party with no godfather or major sponsor and in the space of three months. It shows that we can compete. You have to remember that a lot of the voters were accustomed to just picking sides between the All Progressives Congress and the Peoples Democratic Party. We actually earned every single vote we got, and that’s something to be proud of. We also hopefully inspired our generation enough to know that it can be done and to participate in the future. We made it to the top three in just three months; imagine what we can do with four years of consistent effort? We may not have won the election in Eti-Osa, but we won something far greater. We won their hearts. What lessons did you learn from the exercise? I learnt more in three months of doing politics than I have in some years put together. It was an enlightening, eye-opening experience. I learnt about people from all walks of life, and what drives them. I learnt about people in my community, from the grass roots to the top of the food chain; I learnt about their needs, issues, expectations, and dreams. I learnt about the problems in society and how I can continue to play my role in trying to fix them. I learnt more about being a leader, and what it takes to be a good one. I learnt so much in such a short period of time, that I don’t have space or time here to get into the details. I think I actually need to write some blogs about the lessons I learnt, in the hope that some will find them beneficial.